Ernestine Graves Was Truly an Amazing Evansville Woman! On a cloudy day in March, 2007, I met this friendly lady, who was in her mid-eighties then, while we were both attending the graveside service of a man who died tragically while he was homeless. She knew him from her frequent visits to United Caring Shelter to serve meals or deliver donated clothing items. I was aware of him through my job at the time with a homeless services agency, Aurora, Inc. Soon after we became acquainted, Ernestine had learned about our work at Aurora and had connected me to the congregation where she worshiped then and with a small group of ladies from a former church family. Her connections wrought speaking opportunities and led to others becoming aware of the kinds of needs that she regularly busied herself with meeting as she was able. When she switched to a church closer to her home, she again connected me (as well as other homeless service providers) with an opportunity to speak. She also engaged people in that church family in her behind-the-scenes ministry to people who are homeless. Nearly every Sunday (and even on other days), someone would find Ernestine to let her know they’d brought items for her to give away to people who are homeless. Even when her health dipped a bit a few years ago, she kept on going. She found a simple joy in doing the simplest of things: sharing with others in need. Plus, she would tell others of needs of which she heard, thereby, she often connected people who need things with people who had the things they need. Ernestine enjoyed a variety of things and had many interesting experiences. She loved Indian food. She collected many nativity sets, some from various nations. She served this country as a “Rosie the Riveter,” helping to build wings of planes during the war. She was active in her neighborhood association. Still, it was her generous nature and interest in others that stood out the most. One of the basic definitions of “philanthropy” is “active effort to promote human welfare.” That description so vividly depicted Ernestine Graves. Her influence in this community was person to person. 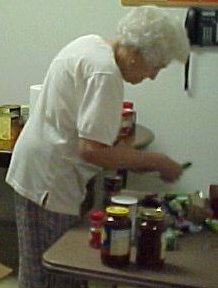 She influenced many in this community: some to give; some to learn of needs in case they might one day choose to give or get involved; some to survive another day with things that were given; some to continue to have hope by knowing someone cares; and some she would never meet who would hear of her life and be inspired to follow her example. 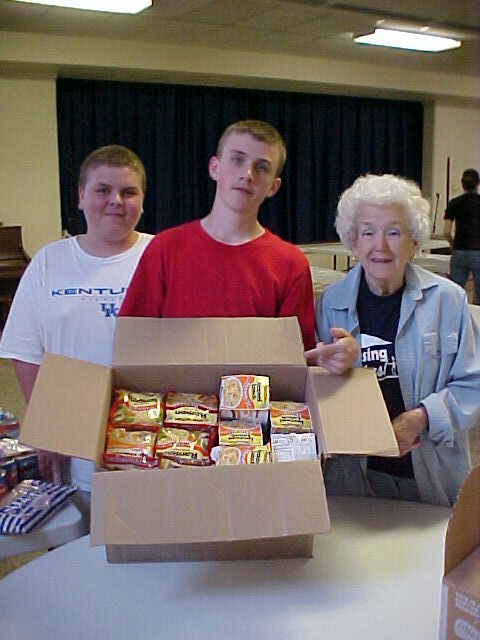 In 2007, Ernestine started bringing donated items to the House of Bread and Peace. She would drop by there at least once a week after that with items that friends and family had given her, because they knew she would get them to people who were really in need. The kids at the shelter could always count on Ernestine to bring new books, clothes, and fun items. 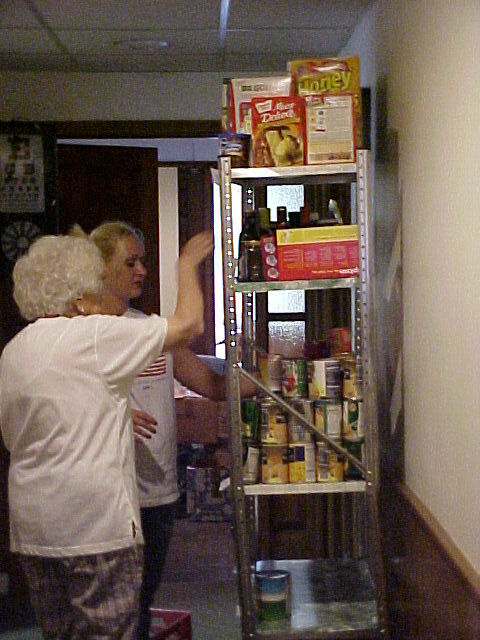 The women at the House benefited from a variety of nice donations, like clothes, shoes, household items, and magazines. Ernestine made herself aware of the resources in our community and shared that information with any of us she met. She did a great job of connecting people and agencies to the resources they needed. 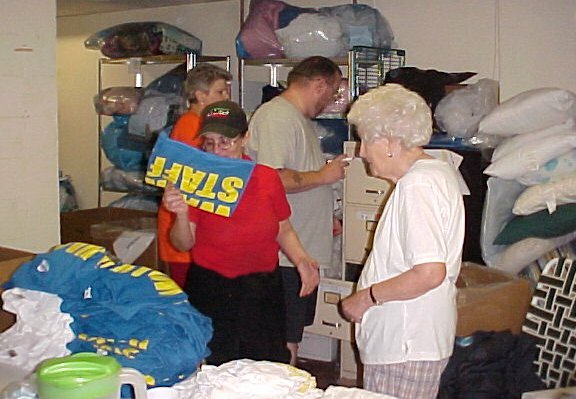 Through her efforts to help others, Ernestine not only provided items, she helped promote many social service agencies and showed her friends how they could be involved in the community. 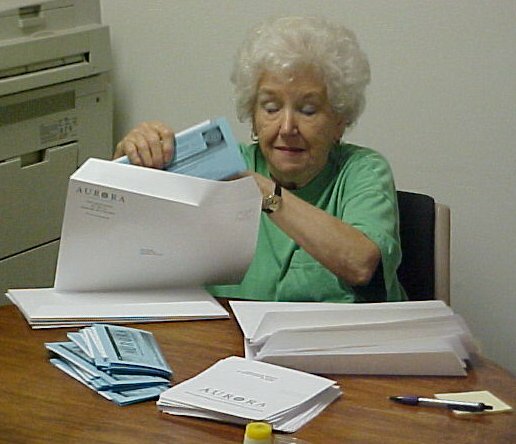 Ernestine was thoughtful and friendly every time we saw her, and kept going despite not always feeling as energetic as she would have liked. The House of Bread and Peace was very fortunate to have such an amazing woman supporting us! 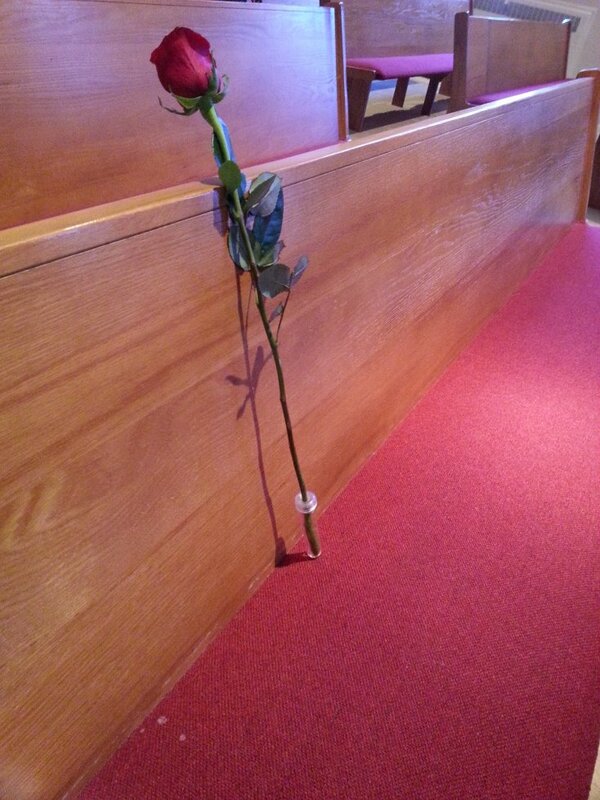 On the Sunday morning after Ernestine went Home to the Lord, a red rose sat in the place in the pew where she normally sat during morning worship. The rose was placed there by one of her sorority sisters who had witnessed Ernestine doing the same for others in the church family when they had passed. A few years ago, the pastor where Ernestine worshiped asked congregation members to write their thoughts about their faith. Below is an excerpt from Ernestine’s letter. My thoughts are hard to put on paper these days. Could it be my age? You ask about my feelings of my faith. How are my feelings? They are just there—inside me, very quiet. My faith has always been in my doings, my everyday life—at work, at home, with family, at church, in my yard—close to God when digging in the dirt. His world is full of beauty, hope and also full of hurt and worry. I’ve felt close to God driving to Indiana University for my boys. Loving all the small towns and small wood churches I passed by. My faith is like air and food—it’s there—and I’m the better for it. I guess you would say it is just living. Ernestine Graves was a nominee in the 2009 Women of Influence contest hosted by the Evansville Courier & Press: www.courierpress.com/influence/ . Her being featured in the article about that contest garnered the attention of Maturity Journal, which did a story on her benevolent life. She was a member of the Castalian Sorority at Evansville College. Up until the first week of October, Ernestine was still out and about, driving herself here and there on her missions and visits. On Saturday, October 5, 2013, she received word that she had acute leukemia and could have about three months to live. Her symptoms had been fatigue and lack of appetite, which continued. After the weekend, she began needing help to walk. Soon after, she was mostly in bed. By Thursday, October 10, she was admitted into VNA Hospice. She was rarely conscious while there as her family members checked on her frequently. By 2:00 pm., Friday, October 11th, she had left this world for her eternal Home. If you knew, met or were impacted by Ernestine’s life, please feel free to leave a reply below. This entry was posted in Memorials, Random Writings and tagged Ernestine, Ernestine Graves, faith, impact, impacting lives, influence, remarkable, remembering, servant, servant heart, woman of influence. Bookmark the permalink.